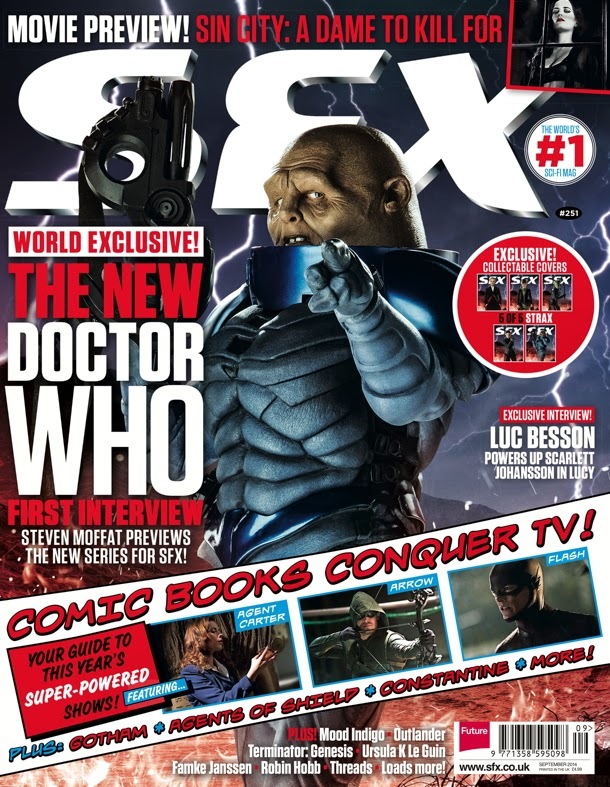 The latest edition of SFX magazine came out today, featuring interviews and comments from the cast and executive producer Steven Moffat, including an episode-by-episode guide to the new series. 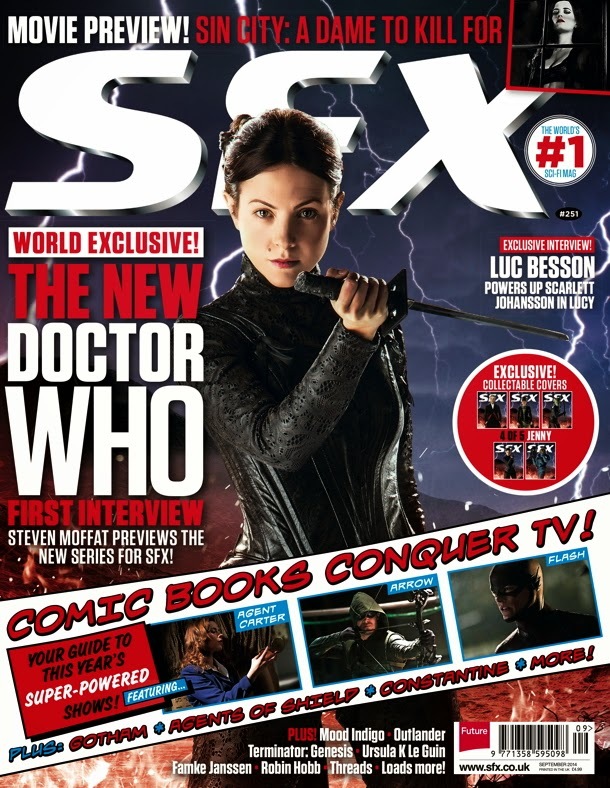 It features 5 special covers. 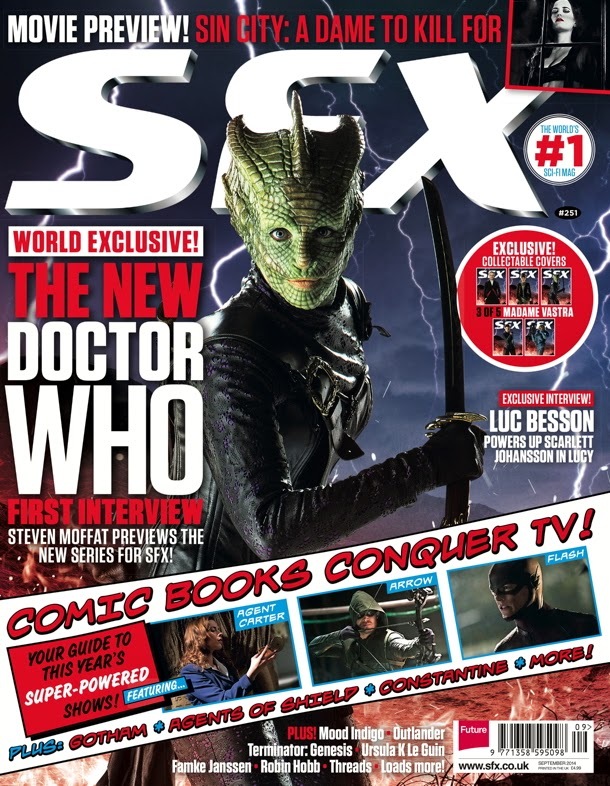 We’re thrilled to have this first cover with Peter Capaldi - and bonus covers with all his gang! 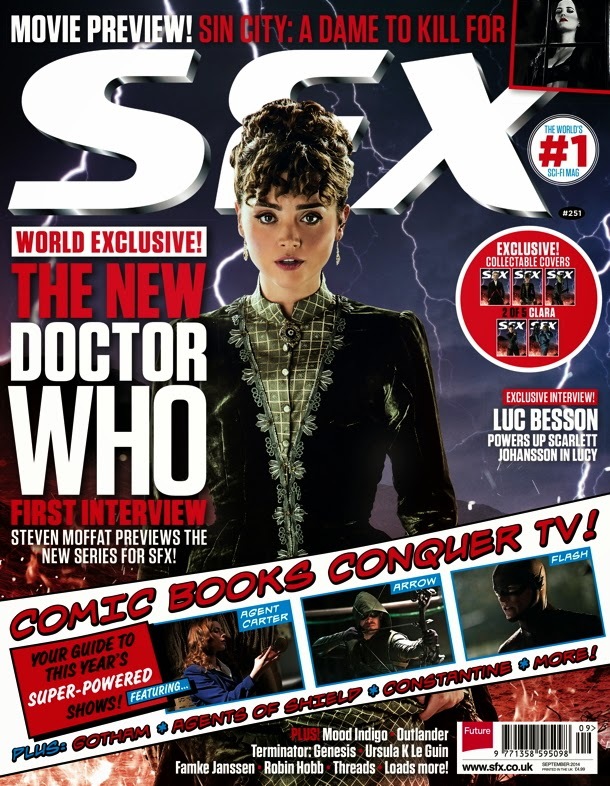 Doctor Who remains a favourite with all our readers. A month ahead of the show's return to our screens, this is a great chance to chat with the head writer and executive producer Steven Moffat about what's in store for the new Doctor.